If you’ve ever dreamed of a whiter smile, there’s no better time to take advantage of Giamberardino Dental Care’s at-home teeth whitening option. Spring is in full swing and summer is just around the corner, making now the perfect time to give yourself the smile makeover you’ve always wanted. With at-home teeth whitening Dr. Giamberardino can give Medford-area patients the convenient teeth whitening solution they’ve been looking for. Patients who whiten their smile at home can enjoy the same kind of professional results that other options can provide, but in a way that fits with your schedule. All you have to do is follow our careful instructions and watch day-by-day as your smile is gradually transformed. After considering all your teeth whitening options, have you decided that at-home teeth whitening is the best option for you? Dr. Giamberardino can help you. After a thorough oral exam, we can begin working on the custom-made whitening trays you’ll be using to whiten your smile. To schedule a consultation appointment, call us today. 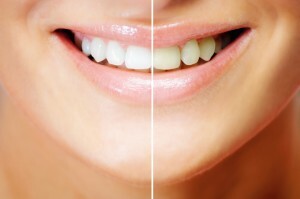 Our Medford office whitens smiles from Winchester, Somerville, Malden, Everett, and surrounding areas.